I couldn’t pass this up this morning. We were on our way to Lavazza at Eataly (some of my favorite coffee, I’ll admit). And Doughnut Plant was calling me, especially with new flavors on the board out front. 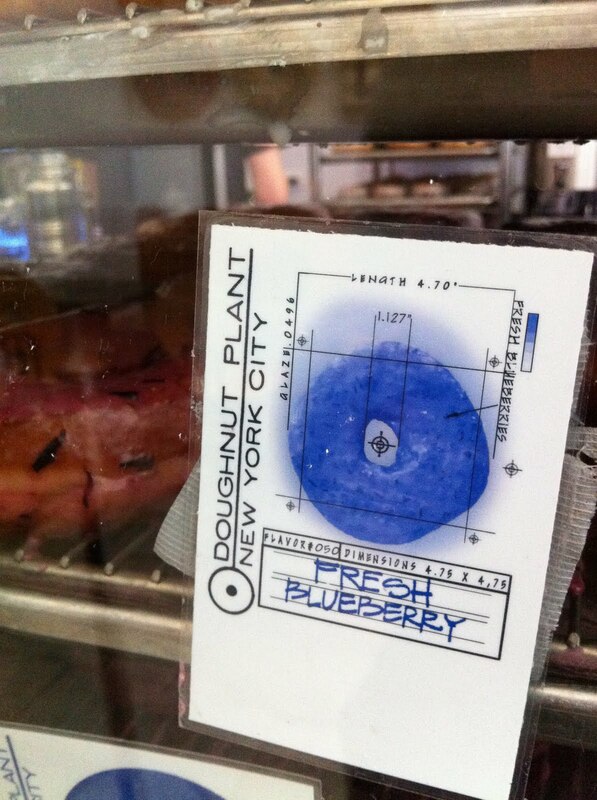 I couldn’t resist the Blueberry yeast donut, covered in a fresh blueberry glaze. And it tasted SO incredibly fresh. I’ve been stocking up on the $2 pints at the fruit stands, I can’t get enough so this was totally in my wheelhouse. It also came in the cake version, but the yeast doughnut and I have become best friends at Doughnut Plant. I was never ever a yeast doughnut girl in the past. The lavender doughnut was a close 2nd, just because I was so curious. Maybe next week. Made my day, and gave me just the energy I needed for the 22 mile bike ride in central park.